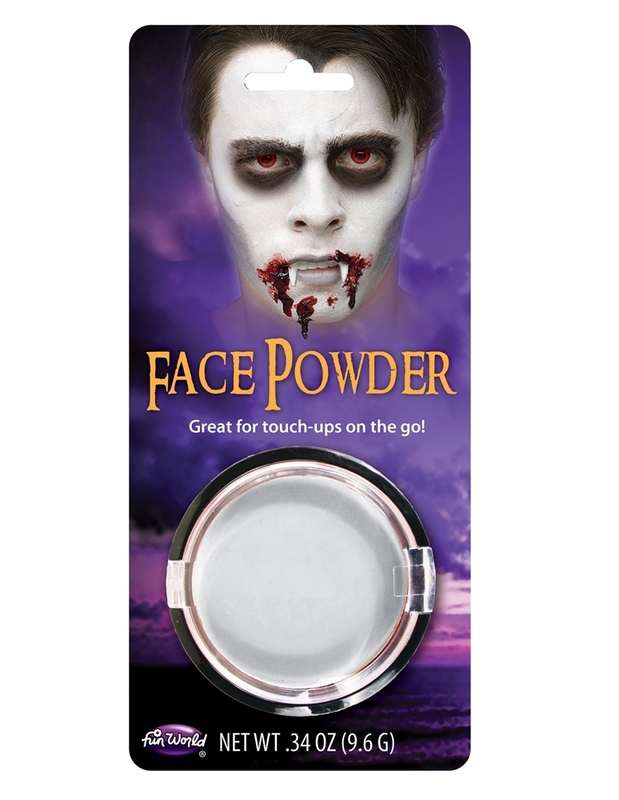 Complete your werewolf, vampire, or skeleton costume with this Pressed Face Powder Compact. The makeup accessory includes a .34 oz face powder compact. 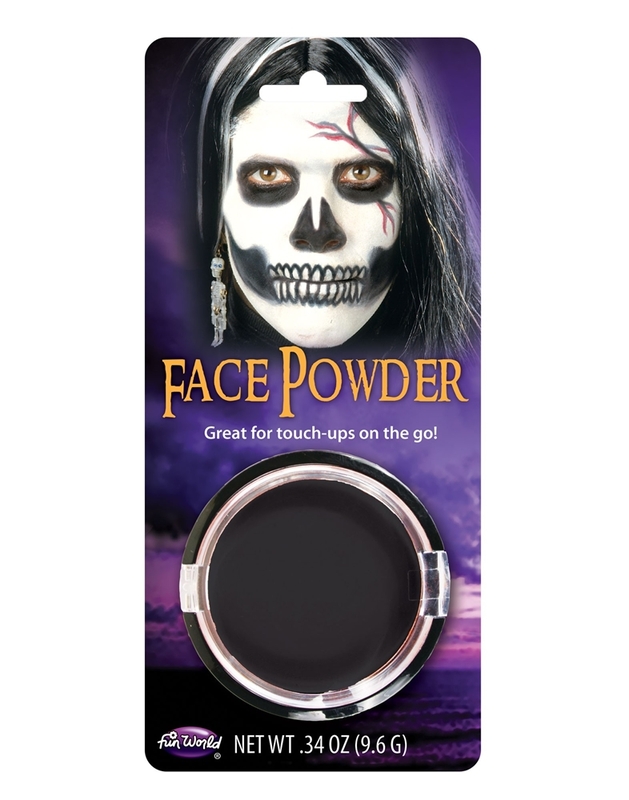 Available in brown, black and white, the makeup accessory provides a smooth and soft powder foundation. 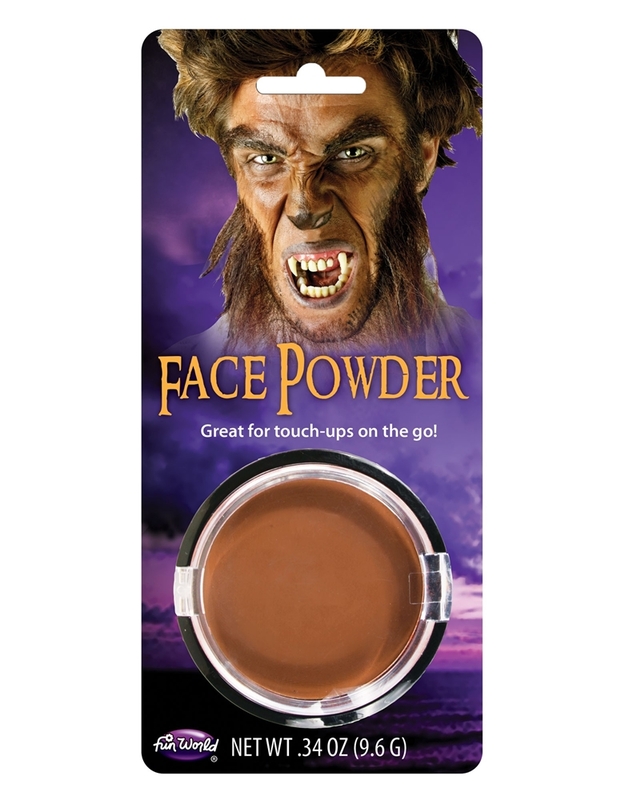 Great for any kind of shadowing effects, create unique and scary monsters with this face powder. The small and portable compact allows you to do makeup touch-ups on the go. Water washable. Store at room temperature.